The Zelda Reorchestrated project (a.k.a. ZREO) first got started six years ago when a 14-year-old had the brilliant idea to redo all the music in the game with an orchestra. Now, 82 tracks later, the idea is real and you can listen to it yourself. As of a month ago, we were only short a handful of songs to complete the album, however, many of the songs from Ocarina of Time were not nearly up to par with others, so we decided to go through the album, song by song, and figure out which songs needed to be remade. It started out as five, then ten, twelve. The list grew and grew till we reached a whopping 22 tracks. Today, we release those additional 22 remakes. Frushtick rightly points out that this work is in no way protected from a take-down notice from Nintendo (though I'm sure the more clever legal minds out there could make a case for fair use). 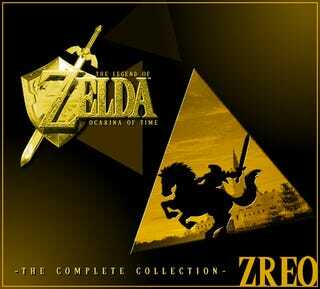 So get it while it's hot in download form or pop over to Zelda Reorchestrated just to sample their work. Really, it's pretty neat.